Bruni Glass is a world leader in providing specialty and standard glass, closures and design services to meet all of your packaging needs. Vetroelite is an Italian company with a mission that consists in offering an exclusive range of glass packaging (bottles, carafes, jars) and related services for the spirits industry. 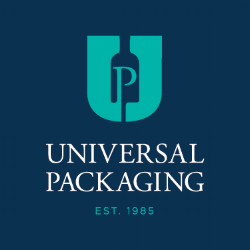 Family run and founded in 1985, Universal Packaging is a leading provider in the North American craft beverage industry with innovative, comprehensive, premium packaging solutions. We specialize in screen print decoration, custom mold development, and are a one stop shop for the spirits industry packaging needs. Radix exists to bring forth our clients’ potential. We listen, assess, and remove barriers so that they can do what they do best. We design a solid financial foundation and help our clients make decisions that will guide them toward their goals. With our local ownership and integrated team approach, our people share a common culture, mission and way of working. From start-up to exit strategy, we make business accounting more manageable, inspiring and rewarding. TapiUSA is a trendsetter in manufacturing, focusing on cork and bottle closures. Our attention is to product quality and innovation with safe and sustainable production. Our sales team has increased to provide a dedicated sales manager to the Pacific Northwest committed to delivering unparalleled service. Rose City Label Company is a highly respected, experienced custom label printing company for wine, beer, spirits and food manufacturers in the Pacific Northwest. We provide expert advice to find the right materials, design, and printing method to meet your needs in a timely, cost effective way. Unlike other traditional HR outsourcing we offer a more comprehensive approach allowing you to hand off your non-revenue producing activities (i.e. payroll processing, taxes, human resource functions and worker compensation) to a dedicated team of specialist who are available to provide immediate guidance for you specific needs. Wine & Spirits labels are unique in their need for high-quality decorations and embellishments – no matter the size of the run. CCL is committed to delivering excellence in printing and service for all customers whether large or small. H&A Barrel Management is a global company focused on the operational management of your spirit barrels. We are a single point of contact for our 1,100 plus customers worldwide specializing in Financial Management, Inventory Management and the resell of your spirit barrels. Our program offers a simple, flexible and customized barrel leasing solution to optimize cash flow and reduce administrative costs. Orchestrated™SPIRITS is an all-in-one business management software solution that helps manage every aspect of a distillery from accounting in the back office to production in the still house. Smarter insurance starts with experts who think a little differently - a company who understands your industry and what’s on the line for you. As one of the Northwest’s largest independent agencies, we’ve built our business creating innovative solutions to even the toughest risk management challenges.